As a 6th grade English teacher, I found that there are some books that almost every kid will love. Here are five of my favorites below! In this fantasy novel, two kids named Kendra and Seth find out that their grandfather is the caretaker of Fablehaven, a refuge where mystical creatures are protected from extinction. While exploring Fablehaven, Seth breaks a rule that causes chaos. Kendra and Seth have to work together to save their family, Fablehaven, and all the creatures who live there. If you kids love magical creatures, this is the book for them! Best part - this is a series so if they like the first one, there are more books to read! The city of Ember is a city completely lit by electricity. Lightbulbs line the streets and heat lamps help plants grow. The only problem is that power sources are failing and the whole city is in danger of ending up in complete darkness. Lina and Doon, two kids who live in Ember, discover an old map with instructions on how to get out of Ember. Not only do Lina and Doon need to figure out the instructions on the map, they need to figure out a way to get everyone in the city of Ember to follow them to safety. Good news! This is also the first book in a series! Jonas lives in a world where everything is perfect. There is no war, no conflict, no fear, no pain, and no choices. Everything is decided for you by someone else. At age 12, each child is chosen for a specific job. Jonas is chosen to become The Giver, the only person in the world who has memories of pain, pleasure, and truth. Learning these things completely changes how Jonas looks at the world and interacts with his peers. Again, this is the first book in a series! This historical fiction novel takes place during WWII and tells the story of a young Danish girl named Annemarie and her best Ellen, who happens to be a Jew. When Ellen’s family is forced to go into hiding, Annemarie’s family takes Ellen in and pretends she is part of their family. Eventually, Annemarie is faced with a dangerous task to help save Ellen’s life. Brian is on his way to Canada to see his dad when the small plane he is riding in crashes into a lake. As the only survivor, Brian is left completely alone in the wilderness with only a hatchet to help him survive. He needs to figure out a shelter, how to get food, and how to live every day in the wilderness completely alone. Good luck with your summer reading plans! The library near my house had a long list of suggested titles for this summer, so if you're stuck, don't forget to look there. 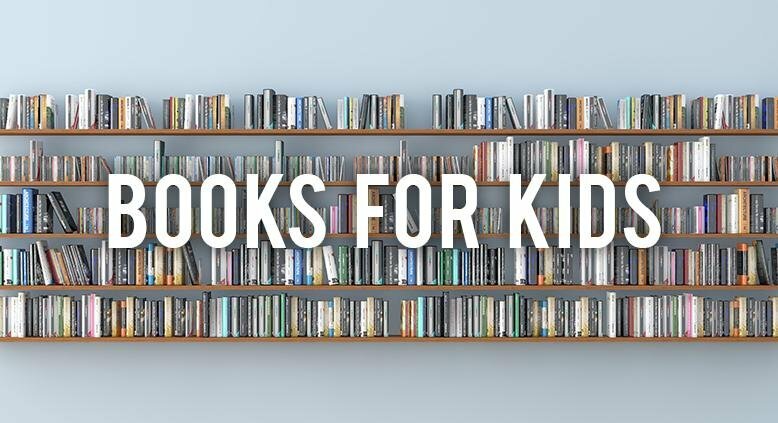 Do you have any suggestions of books for kids?